Audibly monitor and interpret multiple markets for a performance edge and unique market perspective. PriceSquawk is an audible trading tool, allowing you to listen to price action, buying and selling activity and volume flow in any market by converting market data into trade sounds, and monitoring the order flow for volume specific alerts. 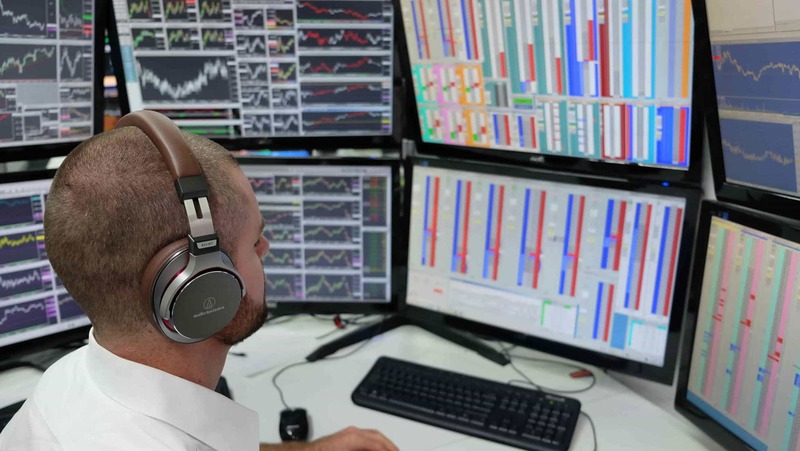 You can configure PriceSquawk to play discreet buy or sell digital sounds per trade or to commentate all market action using our proprietary speech engine, giving you a personalized squawk-box for any market. 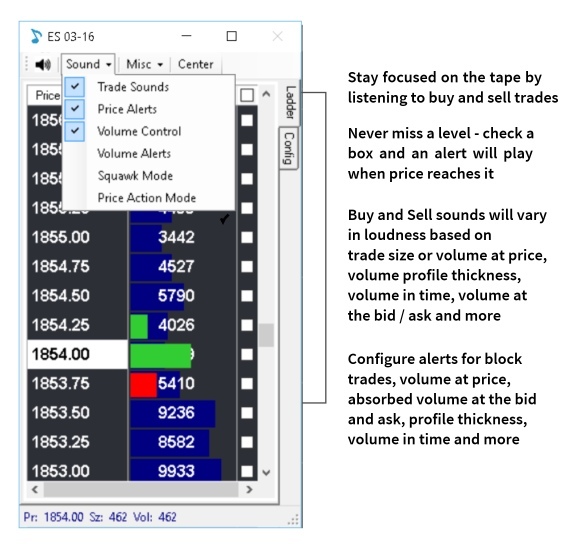 PriceSquawk allows you to listen for order flow events such as iceberg orders, large traders and spikes in volume, without the need to monitor the tape or DOM. This helps you remain flexible around the trading desk, yet focused constantly on key market information. 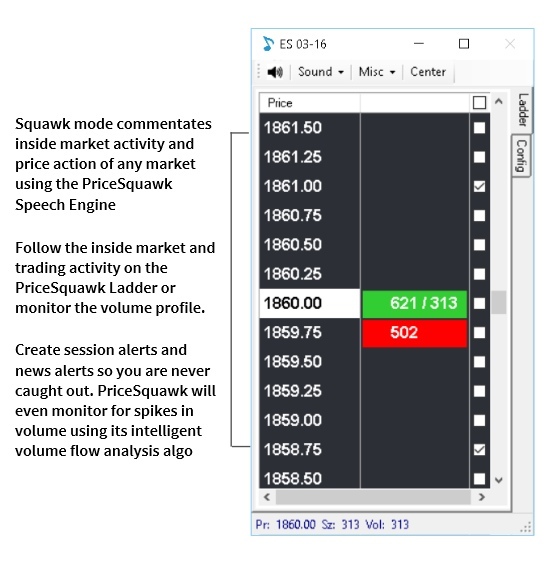 PriceSquawk lets you monitor multiple markets in parallel by providing a wide range of distinct and intuitive sound effects and announcements that can be customized for each market, providing a clear narrative of trading activity, price action and order flow across multiple markets simultaneously. PriceSquawk is available as a standalone desktop application for use with iQFeed, X_Trader Pro and the CQG API, or as an add-on for NinjaTrader 7 and 8 and Jigsaw Trading Tool’s Reconstructed Tape. All PriceSquawk products allow a full functionality trial for 14 days and can be downloaded now from the download page with no personal details required. PriceSquawk can be used indefinitely, for free, after the trial period with limited sound effects and features allowing traders to stay tuned to the tape. Download PriceSquawk now to improve your trading performance and gain a sharp market perspective. I had my best year trading ever last year. I credit this to P$. Also, I have been using P$ for almost a year and I have sound setups I can’t define, it is really subtle, but I recognize a certain rhythm, I only wish I had this 10yrs ago. Yes, P$ has changed my trading and my LIFE, never enjoyed trading so much! The above example demonstrates the use of PriceSquawk for commentating the E-mini. 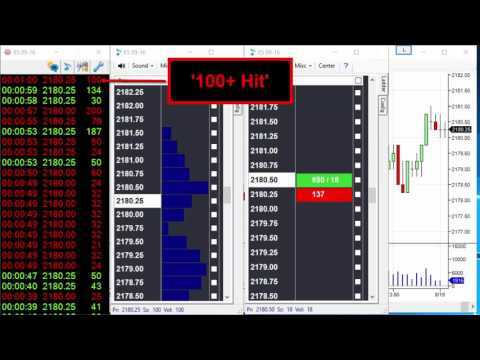 PriceSquawk lets you utilise speech, sound effects and sound sequences for representing price action, volume / trade alerts and market events.